Robert Luff & Co are delighted to offer to market this stunning and individually designed detached chalet family home, ideally situated at the foot of High Salvington. Enjoy views over the roof tops and out to sea with local schools, shops, bus routes, parks and easy access to both the A27 and the A24 nearby. Versatile accomodation offers a feature enclosed entrance hall with vaulted ceiling, beautifully fitted Italian style kitchen / breakfast room again enjoying a feature vaulted ceiling opening into a living space with bi-folding doors out into the garden, three double bedrooms, one with en-suite shower room and a modern family bathroom. Upstairs is a beautiful galleried landing, two double bedrooms and a modern shower room. Other benefits include a gated entrance, off road parking for several vehicles, further hard standing and feature enclosed south facing rear garden. Double glazed bi-folding doors to rear facing south, additional window to side in the kitchen. The kitchen offers vaulted ceiling with spot lights and additional hanging lights. Matching range of high gloss grey wall and base units throughout, integrated appliances included a mixture of Bosch and Hotpoint appliances which are all full length, fridge and freezer, fan assisted oven, combination microwave, induction hob, extractor fan, plate warmer tray, dishwasher and washing machine, one and a half bowl sink unit with pressure hose mixer tap and boiling water tap, discreet electric points are inset into hard wood worktops which extends into a breakfast bar, space to dine, three radiators, TV point, engineered oak flooring throughout. Double glazed bay window to rear aspect with radiator below. Double glazed window to rear with radiator below. 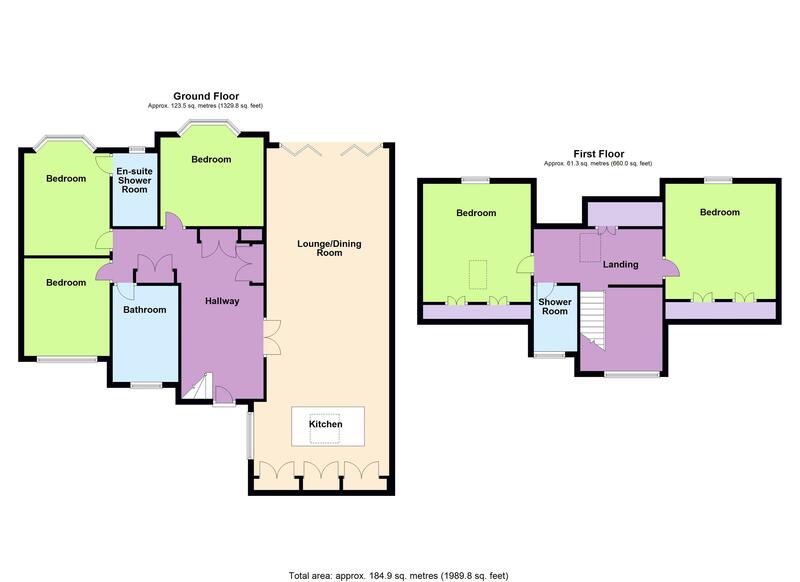 Double glazed frosted window to rear, double length walk in shower, wash hand basin inset to work surface with chrome mixer tap, push flush w/c, vertical radiator, tiled flooring. Double glazed frosted window to front, panel enclosed bath with corner waterfall mixer tap, extendable hand held shower, push flush w/c with feature tiled wall, his and hers floating sinks with waterfall taps and mirror with feature lighting above, chrome heated towel rail, vinyl flooring throughout. Double glazed window to front and rear giving views across Worthing and out to sea, radiator, eaves storage, engineered oak flooring. Double glazed window to recess giving views over Worthing, additional velux window to rear, radiator, eaves storage. Double glazed frosted window to rear, double length walk in shower with curved glass screen and internal tiling for splash back, push flush w/c, floating wash hand basin, chrome heated towel rail, vinyl flooring. Raised decking for dining, stepping down to feature paving which is surrounded by lawn, decorative trees and shrubbery throughout. Large purpose built UPVC shed. Gate enclosed for multiple cars.